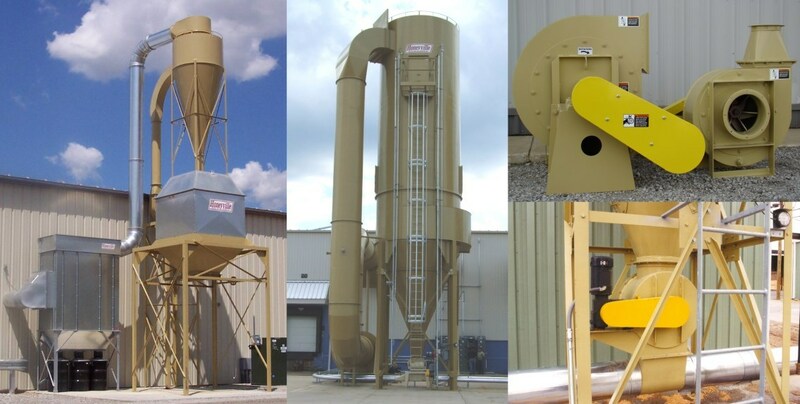 High Efficiency Cyclones | Honeyville Metal, Inc.
Honeyville has 5 sizes of High Efficiency ("HE") cyclones. The HE cyclones are similar to the Standard Series cyclones, but on a HE cyclone the straight side and cone heights are greater for increased material separation. In addition, the HE cyclones have a helical baffle between the straight side and inner vent tube to better direct the material down. SAFETY RING: On MH36-HE and larger sizes, a safety ring mounted at roof edge is standard. CONE ACCESS DOOR*: 14" diameter, bolt-on panel, flush with the inside surface. *Standard on all cyclones 36" and larger. Optional 20" door panel is available.